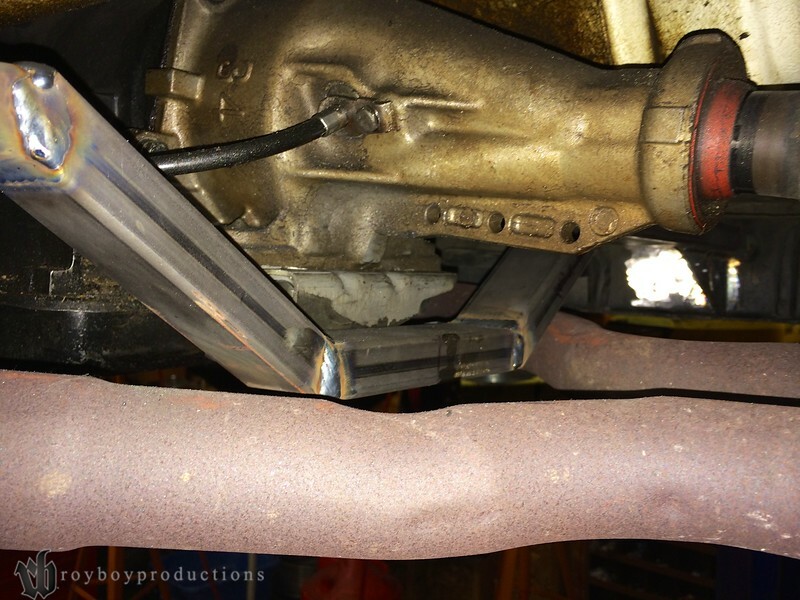 I’ve known for awhile that the transmission cross-member that was in my 1963 Ford Galaxie 500 was hanging too low. It was dragging too much and on big bumps on the highway it would slam the pavement, no bueno. So when I was talking to my buddy Ryno at Ryno Built about it he said to come down to his shop in the Joplin area and he’d get a new one fabbed up. When we got the car up on the lift it was obvious that things were more dire than I thought. The existing cross-member had completely broken into two pieces. One more big bump could have lost it completely, that could lead to any manner of catastrophic consequences. I’ve seen driveshafts come out and nearly slam into the car I was in behind the drive shaft’s prior vehicle. A couple of inches difference and that drive shaft would have come through the windshield. I cannot imagine if my car broke and caused something like that to happen. Best case scenario the failure would leave me stranded on the side of the road, worst case scenario could be deadly. 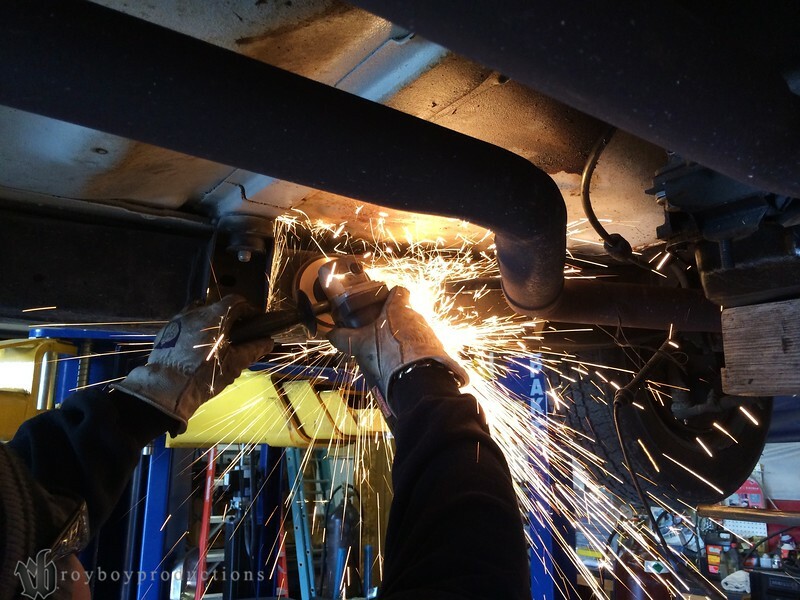 Just another note to encourage you to make sure your ride is mechanically sound not just for your safety but for the safety of those around you. Here’s what we found when we got the car up on the lift. 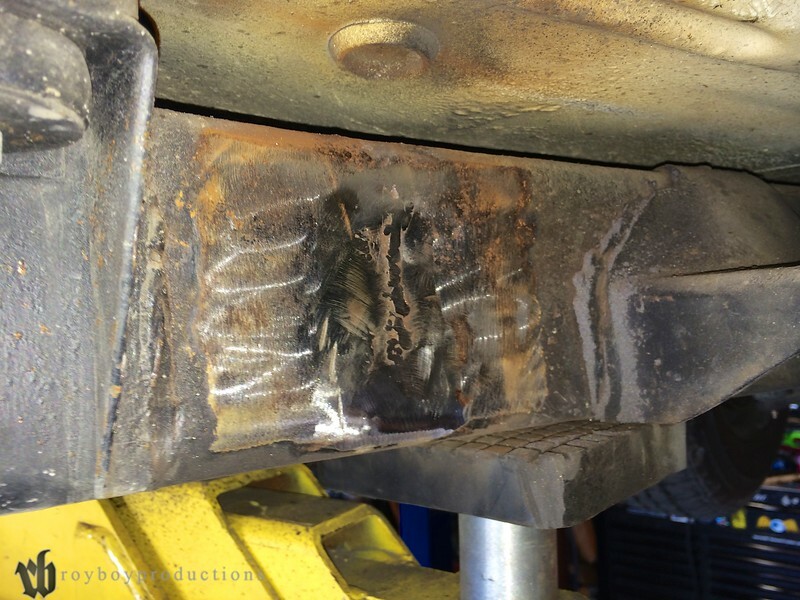 one side of the transmission cross-member had completely broken. 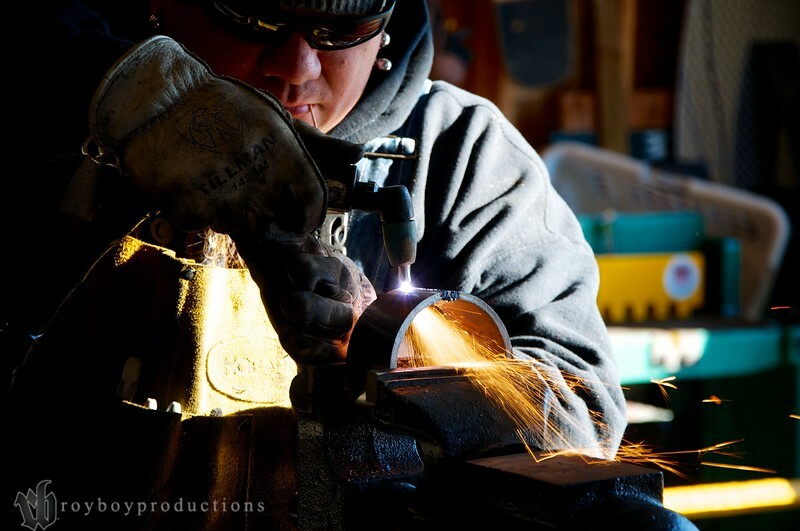 10 ga. welded to ½” plate and 0 penetration on the welds. That’s not rust on the floor pan that’s trans fluid. Another issue I have to fix. Lucky for me I didn’t take one more trip with the car the way it was. 1 side of the existing transmission cross-member was completely separated. 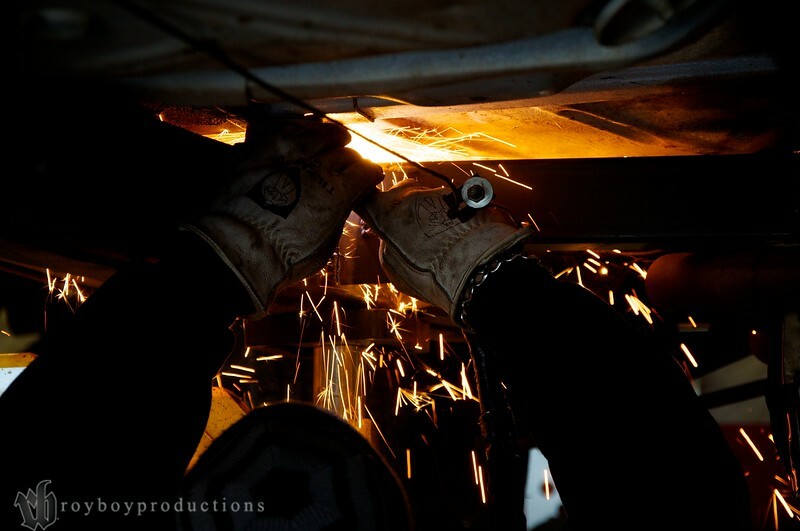 Ryno plasma cutting the existing transmission cross-member off of the frame. The AOD is much longer than the Cruis-o-matic so using the factory frame mounts would have made the mount larger and harder to build. Ryno getting rid of the remnants of the old cross-member. 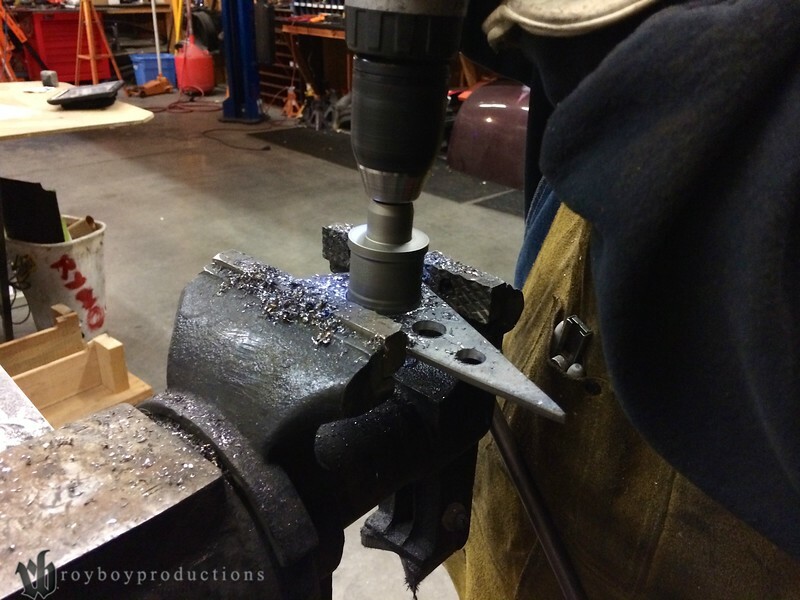 Then it was time to grind off the remainder of the old mount. Not quite done getting rid of the old one, almost done. Ryno cutting some tubing that we thought we needed before a later re-design when I changed my mind. 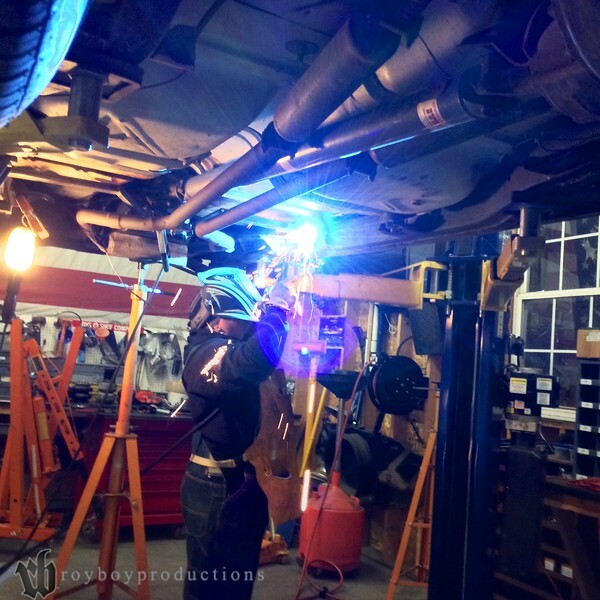 Welding in the new cross-member. 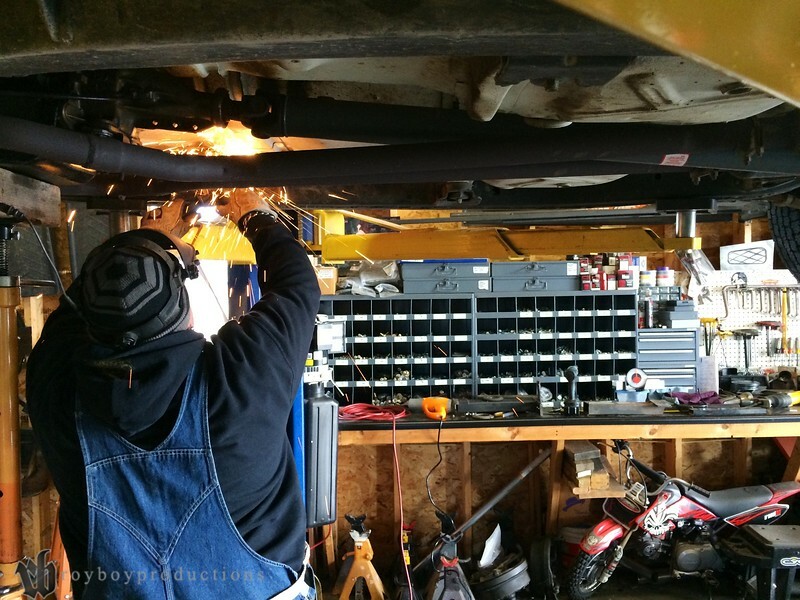 At each end of the cross-member Ryno added 3/16″ plate gussets under the cross-member. Here he’s adding some holes at my request to make it look cooler. Before a coat of paint you can see the driver’s side of the mount. The parking brake cable is attached to a tab that we added. 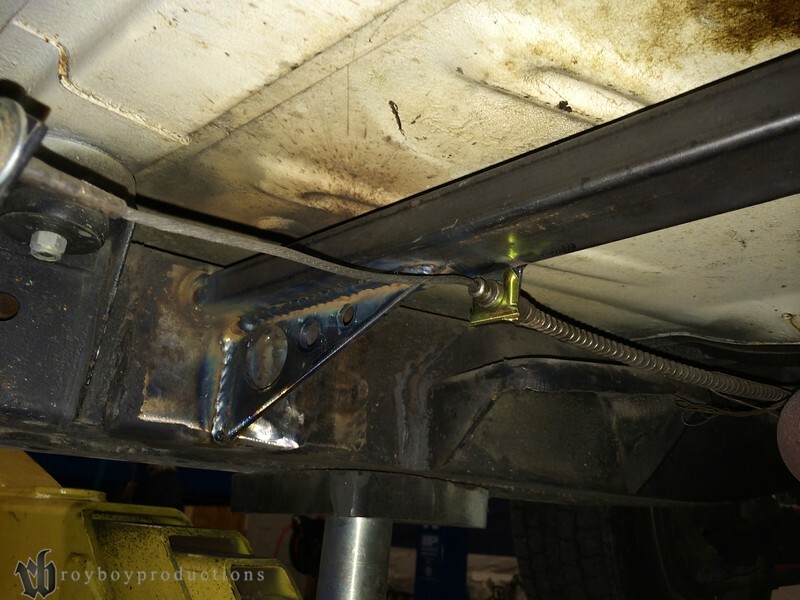 We used a rectangle tubing to provide as much clearance under the cross-member as possible. There is room for a 2 ½” Dia. 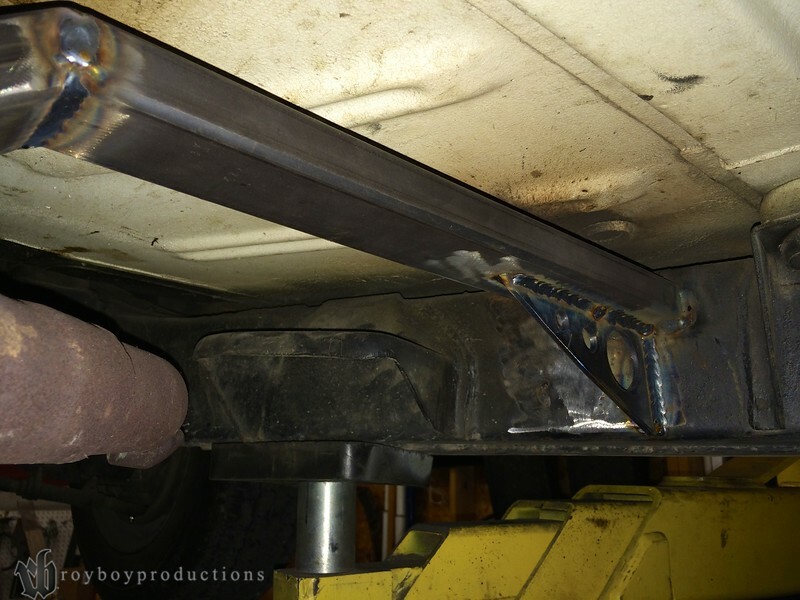 exhaust pipe to fit and still not hang below the frame. The passenger side is pretty much the same without the parking brake cable mount. Here you can see the factory mount waaaay up forward on the frame. The fluid everywhere is killing me, I have to figure out the leak and clean up the mess. Here’s the new cross-member and the new mount that we installed. The existing exhaust needs replaced soon so buy some photos so I can afford it! 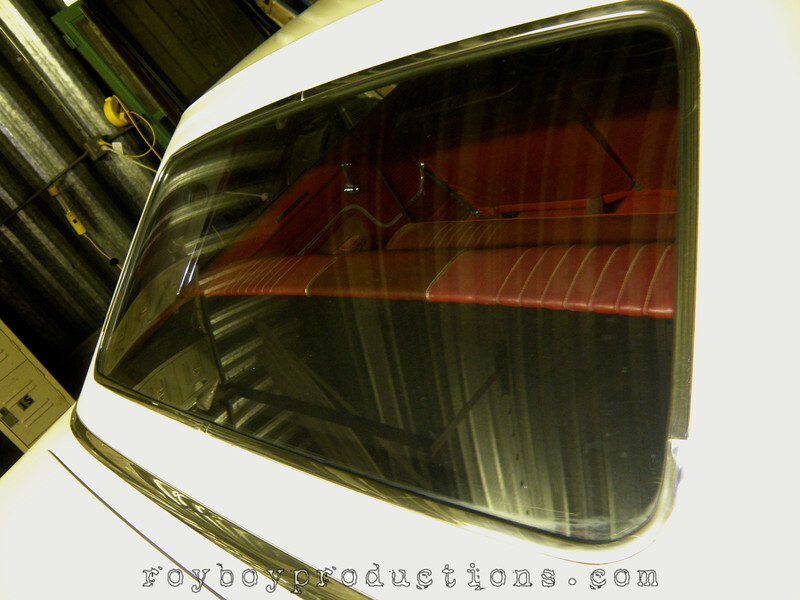 If you need custom fabrication done for your ride, get ahold of Ryno Built and he can get your car on the road again! 100% made in the USA and embroidered with the rb logo. Okay folks, this is a complete experiment. This is a repost of an article that I did for the Galaxie Club of America Gazette a few years back. If you want more tech articles like this comment below or contact me here to let me know! 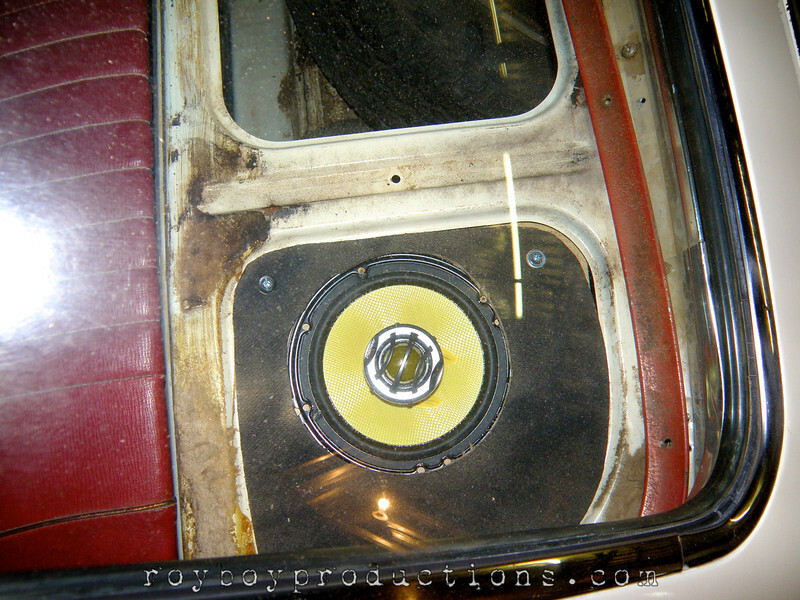 As you can see in Picture 1, a previous owner had decided to cut out the factory rear deck wood and vinyl to install a pair of 6×9 speakers. I have to say I HATE to see speaker grills in the rear deck area of a car, 9 times out of 10 they are ugly and out of place. The older (maybe factory) center 6×9 grill is pretty ugly as well, so let’s fix that! The goal for this part of the install was to see if I could put these speakers in without leaving any permanent changes to the car. In Picture 2 you can see the factory rear deck metal, I have removed the rear seat bottom and back so that I could remove the upholstery that covers the rear deck. I won’t go into detail on how to get the panel out since each model of car is different. Lucky for me, Ford left 4 large openings plus the center 6×9 mount. Since stereo sound works best in the car when you have the most separation between left and right speakers, I am going to install the rear speakers in the far outside openings. Picture 3 & 4 shows a tool that I have had for years…. And I have no idea what it’s called. It’s an adjustable curve that you can pick up at Hobby Lobby. I use it to copy complex shapes in the car. 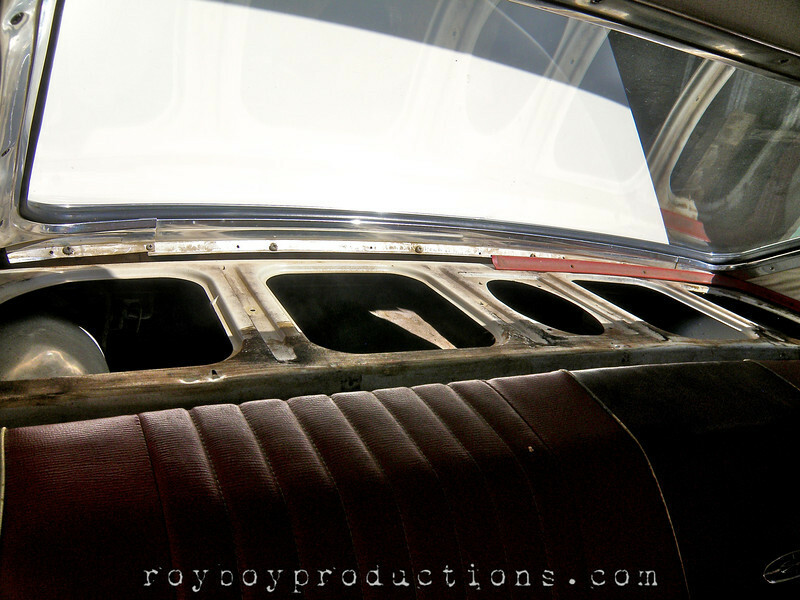 Here you can see it wrapped around the inside of one of the openings in the rear deck of the Galaxie. 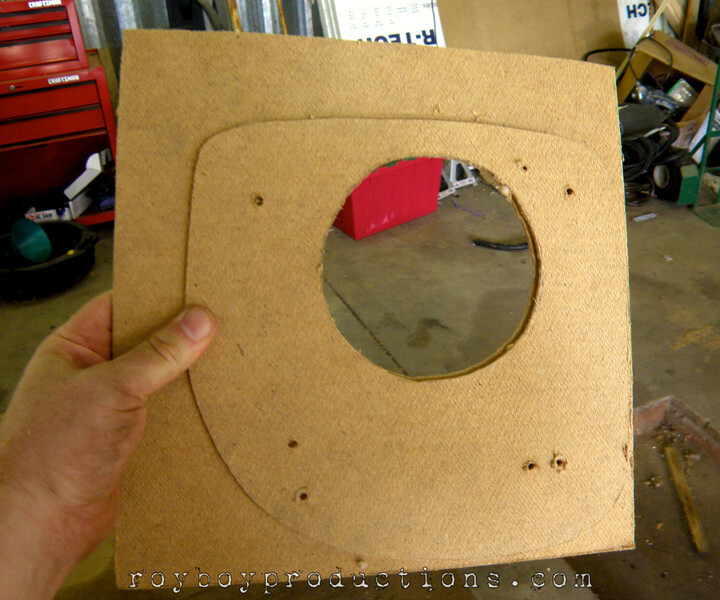 Simply fit the curve to the shape you desire to copy, then lay it on a piece of 1/8th masonite and trace the shape. This tool comes in very handy when making cardboard templates for patch panels when doing body work as well. My idea to build the mounts was to use the small ledge in each opening to my advantage. I built a 1/8th masonite plate that fit into the indented part of the metal, then put another masonite plate under the rear deck and used small bolts to cinch the two pieces together tightly to hold them in place in the rear deck. 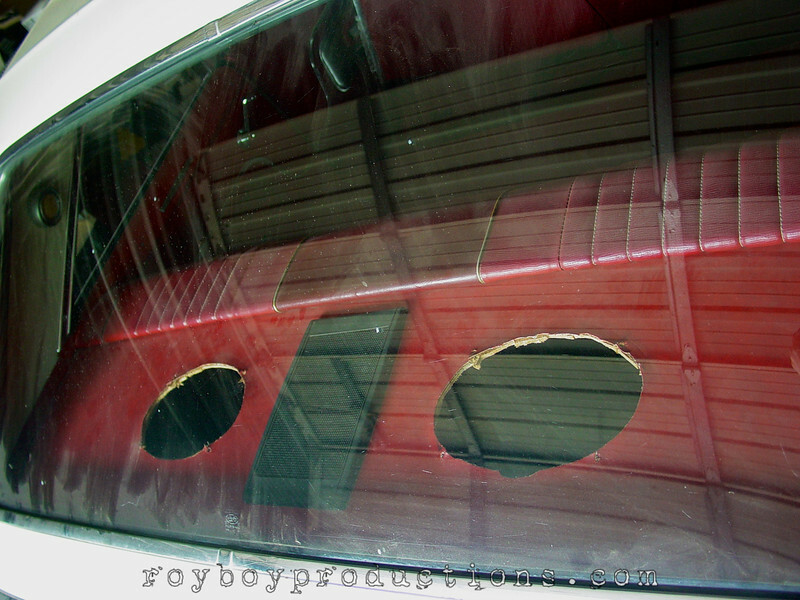 The speakers will be mounted into the bottom panels. 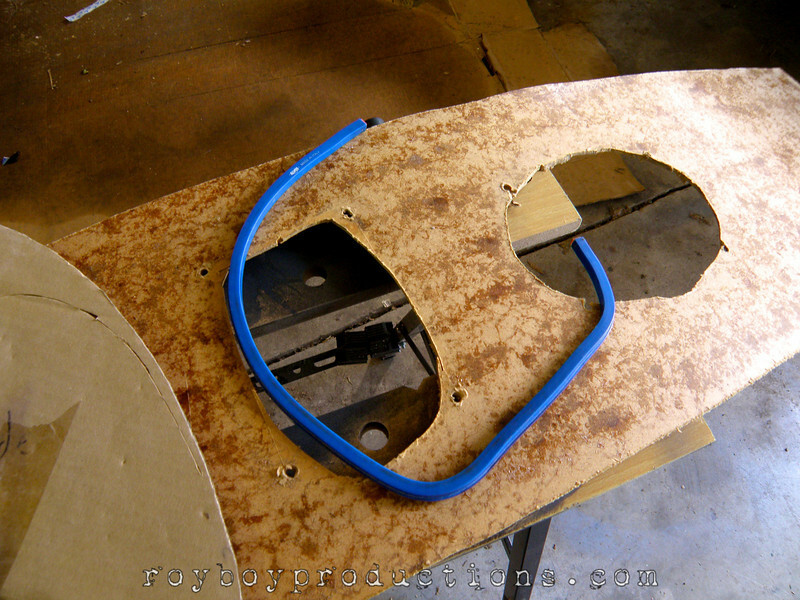 Picture 5 shows the rough shape of the panels with holes for the speaker in each panel. 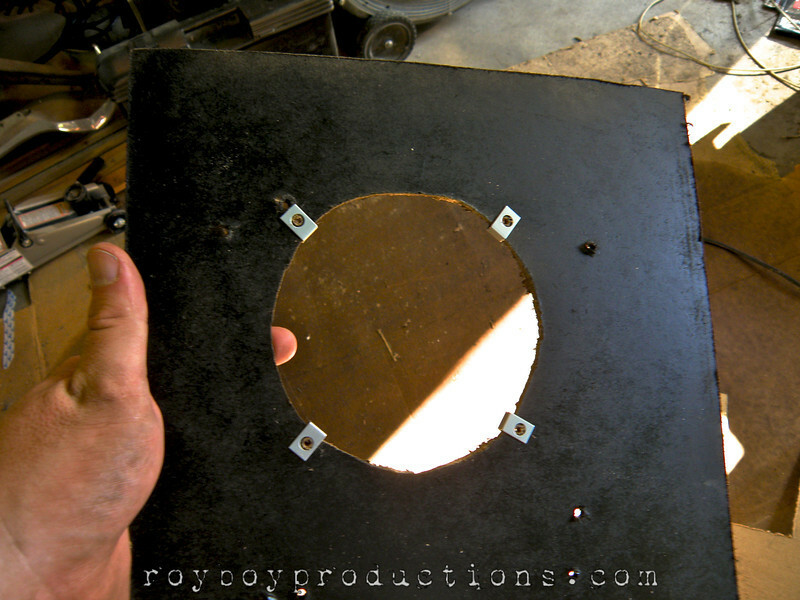 I have also drilled holes for the bolts in the panels at this point. The panel in front is the one that goes on top of the rear deck metal, the square-ish one behind goes below the metal and gets the speaker mounted to it. Next I painted them black so that the wood would not show through the final upholstery. 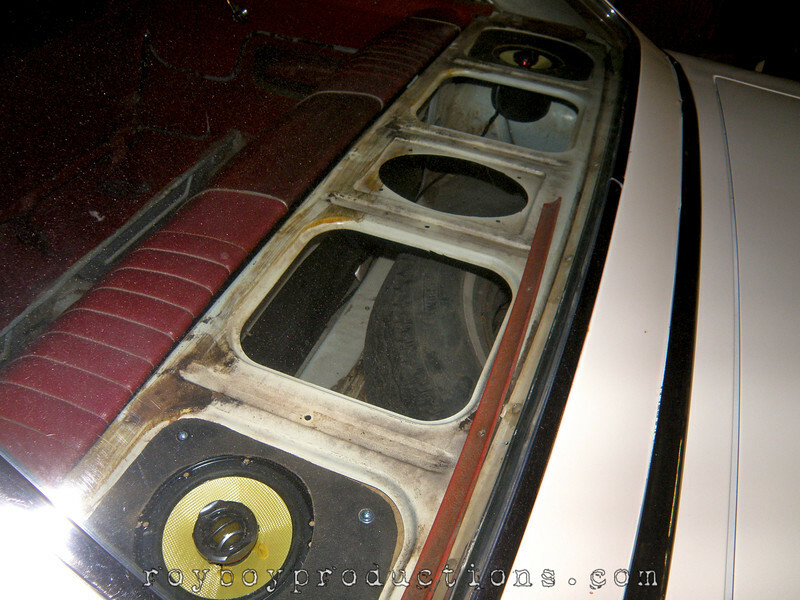 I also used speed nuts to attach the speakers to the bottom panel so that I could remove the speakers from the panel without having to unbolt the panels from the rear deck. Picture 6 shows the rough fitting. Everything is assembled and loose in the rear deck for adjustment. 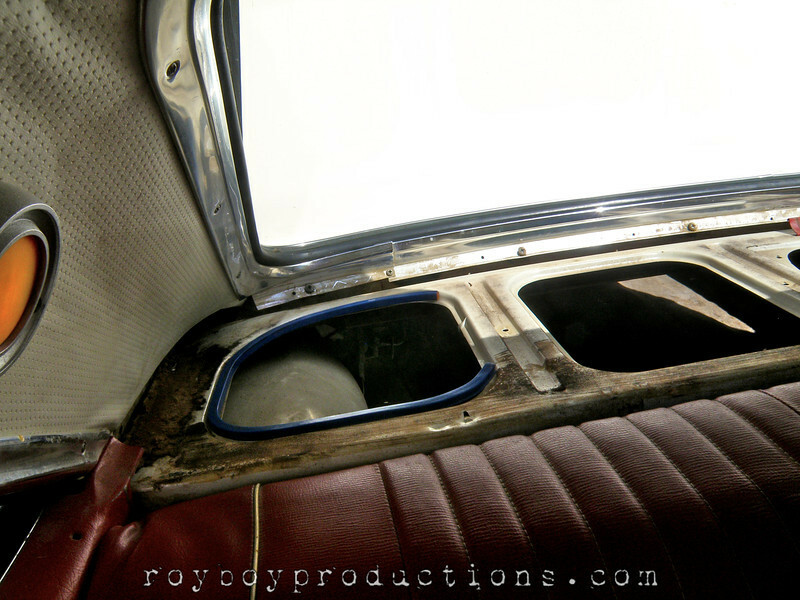 It should be noted at this point that if you have holes in the upholstery panel over any of the center 3 openings that you should cover the openings so that the sound waves that come from the rear side of the speakers do not come through into the passenger compartment. The rear side of the speaker produces a sound wave that will partially cancel out the sound from the front side so this is very important. I will be building a subwoofer setup that will fill these openings so it is not an issue in my case. Since the subwoofer setup will not be ready until down the road I covered the backside of the speakers with foam baskets to keep the back wave contained. Picture 7 shows the finished project. The beginning idea of getting rid of the ugly holes and speaker grill and ending up with a clean looking rear deck has been accomplished. The speakers sound much better and have been providing years of enjoyment now. All that I got done on the 51 this week was installing a new fuel pump and verifying that it was in fact working. Installing the pump shouldn’t have taken nearly as long as I took, but it’s on now. Just a hint, if the engine is still in the car, it’s easier to take off the pump and the housing that it’s attached to than to remove the pump from that housing, unless you have a special 1/2″ shorty wrench or super thin walled sockets. So after some cursing, some head scratching and using an old Cragar S/S wheel with tire as a platform to stand on, I got the pumps swapped out. Next step was to get the pump plumbed. Dammit. On both the inlet and outlet the new pump had larger connectors than the existing lines that the car had. A trip to Salina (20 miles each way) and 3 different stores (the 2 auto parts stores didn’t have them) and I came up with a set of new hose barbs and some new hoses. I replaced the existing rubber lines with the new hoses, primed the carb, hooked up the battery and turned the key. She sputtered for a second or two, ran out of the gas in the carb and died. The fuel bowl was still empty on the fued pump too. So I cranked it a few times to see if the pump was able to draw any fuel up from the tank. Bone dry. After a few more attempts the battery was dieing and I was tired anyways so I called it a night. The plan for the next day would be to charge the battery, and see if the fuel pump could pull gas out of a water bottle directly next to it. The next day I ran out to my Dad’s to borrow a gas can, the 5 mile trip was better than the 20 miles to town, and to pick up my battery charger that he’d bought for me years ago. Since I’ve recently decided to actually start working on my cars in my garage it would be good to have it home. I hooked up the battery charger and went into the house for some lunch. Upon my return I filled the water bottle with gas and stuck the fuel pump feed hose into it and tried the ignition again. Again the car only sputtered for a few seconds but I could see the fuel pump was pulling gas out of the bottle. Yay! that means that the pushrod between the cam and fuel pump might work. 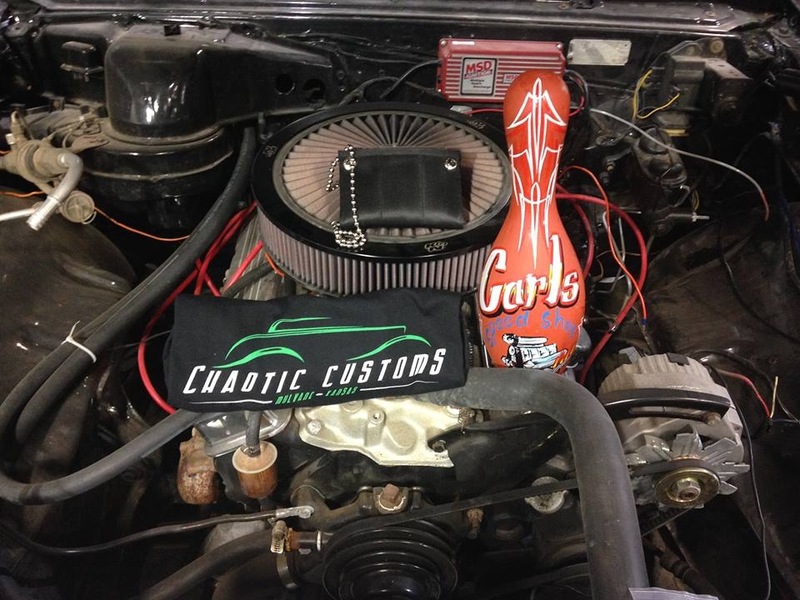 Next up will be to see if I can get the car to run on that bottle of gas in the engine compartment. If so, then I need to replace the soft line at the fuel tank and try to use the air compressor to blow air through the hard line to make sure it’s not clogged shut. After that I’ll reconnect my new soft fuel lines at the tank and lightly use the compressor to put air into the tank to try to force the fuel up the line towards the pump. If the engine is capable of running and that line is full of fuel, we might be able to get her to move under her own power. The tank is visibly newer than the straps that hold it into the car but I still will snake a camera down the filler pipe to see what the inside of the tank looks like. If need be I have a tank sealer kit waiting standby.